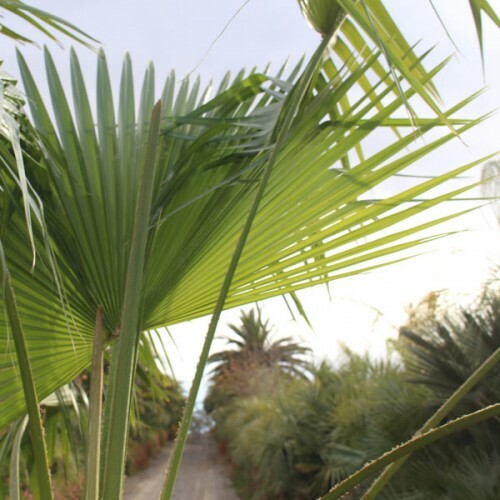 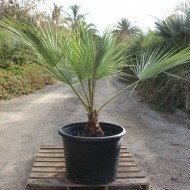 The Guadalupe Palm, a native to Baja California, Mexico, is widely planted as an ornamental. This fan palm has a moderate growth rate averaging a height of 30’, with a stout trunk of 1-1/2’ in diameter. 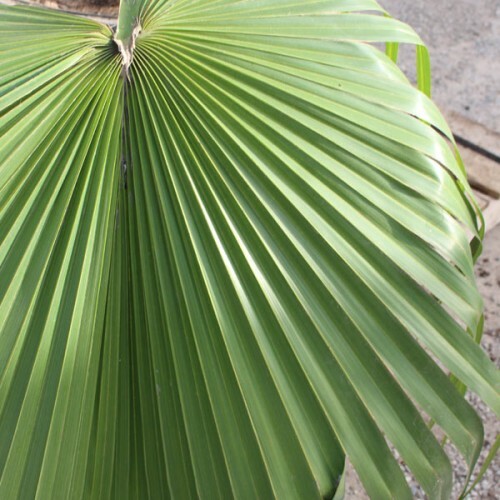 Its distinctly bluish leaves range approximately 3-5’ wide. 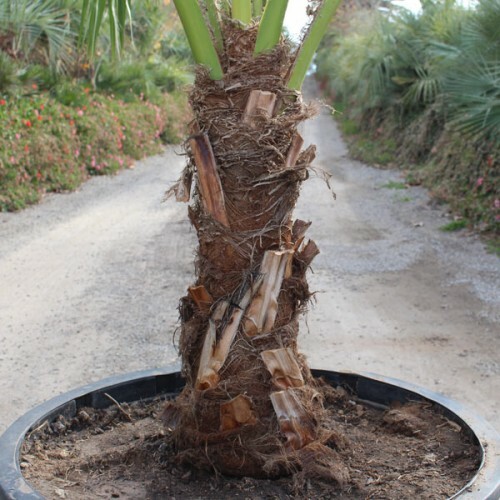 It is tolerant to cold temperatures as low as 20F, and requires minimal water, preferring full sun and well drained soil. 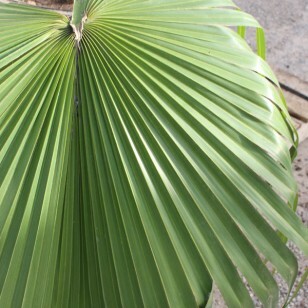 This tree’s large fan-shaped leaves are shiny green and have an indentation along the midrib. 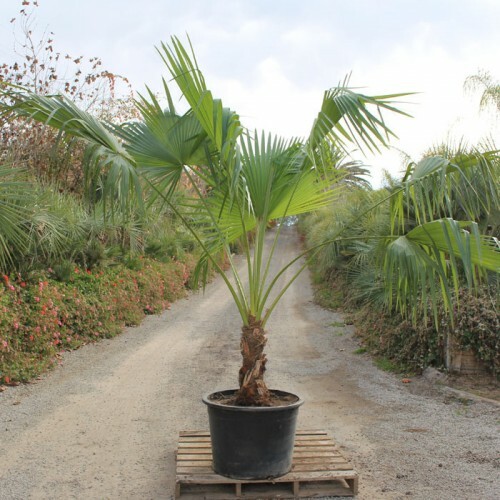 It produces small black colored fruit with a flavor resembling that of a date.